Tilt and slide windows have two types of opening in one since are combining the track and inclination towards the interior. The sheet, to be opened, has to be extracted of its plane and to slide on a fixed side rail. When closed it is hermetic, cause is using a practicable profile. 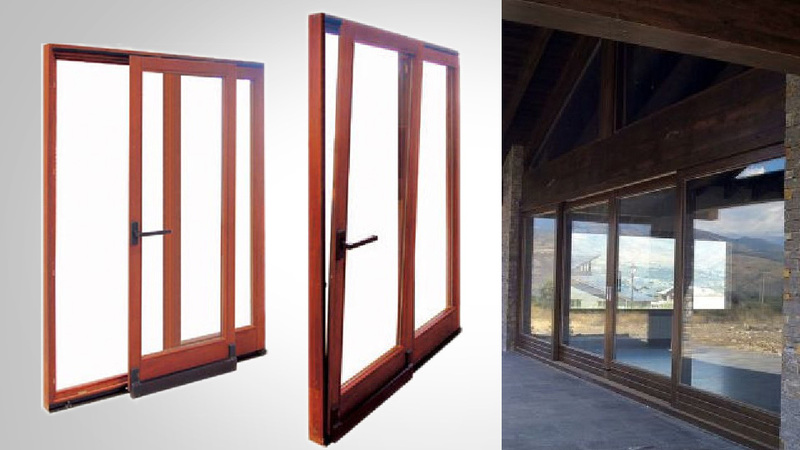 The tilt and slide windows are ideal for patio closings combining a big resistance with a soft and silent slide. This type of system presents the best values of isolation because when turning on closing position, the sheet moves towards the exterior, remaining perfectly connected to the fixed frame.